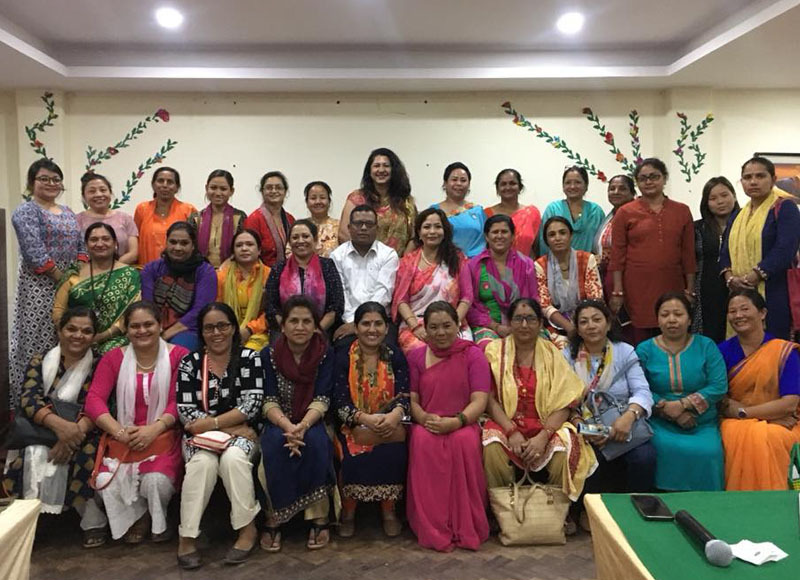 GEFONT National Woman Committee has organised Woman Leadership Training in Kathmandu. 40 leading woman leaders from different districts actively participated in the Training. Inaugurating the training, GEFONT Vice President Bidur Karki said that “GEFONT has only 17% woman membership; however GEFONT has 42% woman participation in the leadership, therefore more woman membership need to be organised as per leadership ratio.” He also requested all participants to implement the knowledge they gained from the training and aware other woman as well. During the training, GEFONT Policy Institute President Binda Pandey trained participants about Gender Policy. Likewise, Vice President Bidur Karki taught about GEFONT committee system and corporate ID. Similarly, Secretary General Janak Chaudhary facilitated about trade union role & women sector achievement as well as about labour law & social security.Vice President Deepak Paudel trained participants about Labour Relation, Mobilisation and Coordination. Meanwhile, Vice President Manju Thapa also gave training on Union and office management and GEFONT Secretary and MP of Province No. 3 Beli Maiya Ghale taught about GEFONT Structure.